A diverse selection of honorees reflected upon the significant accomplishments of The National Coalition on Black Civic Participation (The National Coalition) over the past 35 years and it's impact on the number of Black elected officials; then challenged the audience of over 400 to stay vigilant in addressing 21st century issues during recent Spirit of Democracy Awards Gala and 35th Anniversary Celebrationin Washington, DC. 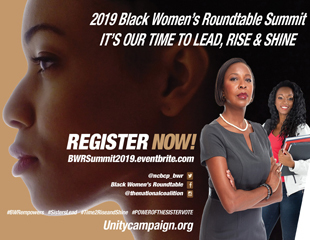 Former New York Prosecutor, TV host, and author, Star Jones, will serve as host of the 14th annual “Spirit of Democracy Awards Black & White Gala,” Melanie L. Campbell, president and CEO of The National Coalition on Black Civic Participation (The National Coalition), announced recently. The Gala will be held on Wednesday, May 18, 2011, 6 PM at the Renaissance DC Hotel. 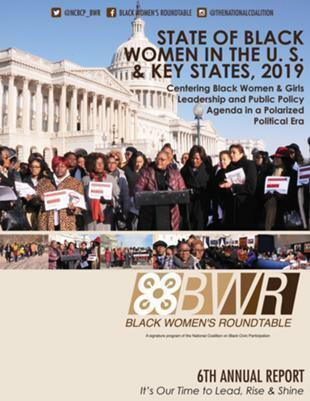 Hundreds joined the Black Women’s Roundtable (BWR) “Healthy, Wealthy, & Wise” National Empowerment Tour at two historical sites in Daytona Beach and Mims, Florida. Other 2010 Spirit Honorees include: Ralph Everett, president and CEO, Joint Center for Political and Economic Studies; Tony Gladney, vice president, National Diversity Relations, Harrah's Entertainment, Inc.; Marc Morial, president and CEO, National Urban League; and Makani Themba-Nixon, executive director, The Praxis Project. Currently reading page 12 of 15.